The new generation of small laptops is before us; stronger, better and more “good looking” than their predecessors before, but are they what we truly need. If something looks more cool and elegant it doesn’t necessary mean that we will get our money worth, a lesson that we all learn time and time again, but somehow forget all too soon. Probably because it is in our nature to appreciate both beauty and function of things, or at least the impression of it, but this isn’t about consumer habits because the real question is are small laptops becoming obsolete in a world of millions of sold IPhone’s and tablets. I don’t want to seem overly dramatic, especially considering the high sales of PC and laptops worldwide, but it is an issue that we the consumers ultimately decide. But let me not get ahead of me so I will focus on the issue at hand, does this current generation of small laptops has something to offer us and the answer is that indeed it has . List of three products from the series of Ultra-books listed in front of you are by no way the only best small laptops out there but they have the optimal cost and benefit side to them in the category of high end ultra-portable devices on to which I have decided to focus. The ASUS Zenbook UX51 Vz laptop is another astonishing quality undertaking from our old friends from Asus, and I really have to say that this time they have outdone themselves. Considering my reservations to the former Zenbook laptop this series have been improved at every level except the price however, wallet breaking $ 1,949, and perhaps the louder fan then usually. But all this cons fall short in front of a fantastic 1080p monitor display coupled with phenomenal audio system and superbly intuitive touch pad. Both elegant and sturdy build quality with average battery life only force me to give this series the “editor choice” reward in this review of best buy small laptops. Even more so if you like, far and foremost, the old school laptops like I do. 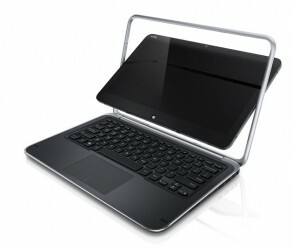 Dell XPS 12 follows the ASUS Zenbook very closely in the competition of high end Ultra-books. By looking alone you can see the innovative rotating display that is actually a tablet for itself and can be removed from the laptop, something completely new and futuristic. They have an “A” for mixing style and technology. Every other aspect of the device is quite excellent also: interface, display and the long battery life give it all round customer value it surly deserves. The downfall, as it is with all new innovations, is the price that innovation sometimes takes on other elements of the device. In this case the tablet is too heavy to be used alone without the “rest” of the laptop or something else to hold it. You just can’t replace the real thing with a short term applicability. 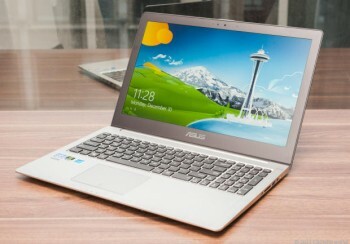 Without further examination let me point that I would gladly recommend this laptop even if it was only a Ultra -book. We are looking at the first windows convertibles of this generation but not the last so maybe it’s time to get ahead of the curve for all of you who put innovation first. 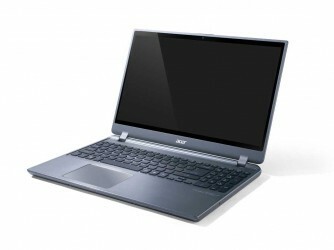 Acer Aspire Timeline Ultra M5 is definitely represents one the best small laptops i ever handled. Maybe even one the best Acer Ultra-book mid ranged products conceived. Almost everything you need for a good laptop experience is there: power, solid battery life, moderate display abilities with design and keyboard size and overall good gaming performances. All that for only $800.With that pricing and quality it is an absolute best buy for a vast majority of Ultra-book users who want to get more and pay less. However everything good as we have learned has it’s “but”, and the but is that is as twice as heavy as its counterparts from the competition and since it is an Ultra-book it is expected to be light after all doesn’t it and an extra fane wouldn’t hurt the CPU-u with small cooling problems . Probably the heavier burden won’t break anyone’s back and most people will welcome it considering the positive aspects of the device not to mention it gives so much for a lesser price than its direct competition from the new Toshiba Z835 and Samsung 5 series. As you can see in this small review the market for small laptops (Ultra-books as Ultra-portable devices) is still here and is not going to be crushed by the new trends as easily as some predict. Like I already said in the beginning we the consumers decide. No tablet or IPhone can really replace a good old laptop, its stability, processor strength ,performing multiple tasks at once quick and efficiently and no other device has shown promise for the business practicality so often found in small laptops, not least anyway but perhaps the future is not in either of them but in hybrids of both worlds. Until that day comes i will stick to the proven “old school” devices like the one I am writing now.